It's time to announce the winner of our Favorite Field Formation for week 2 of the 2015 season. We've reviewed the tapes and saw some great designs this past week. 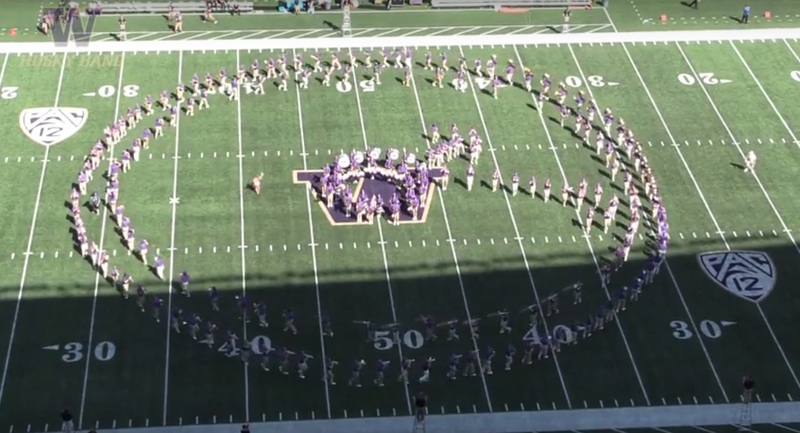 We have to award week 2 to the University of Washington Husky Marching Band. We love their clock formation. Great design and halftime show Huskies. We are excited to see what you do next! Watch the full show below or fast forward to the 9:41 mark to see the clock in action.